This video... it is good. 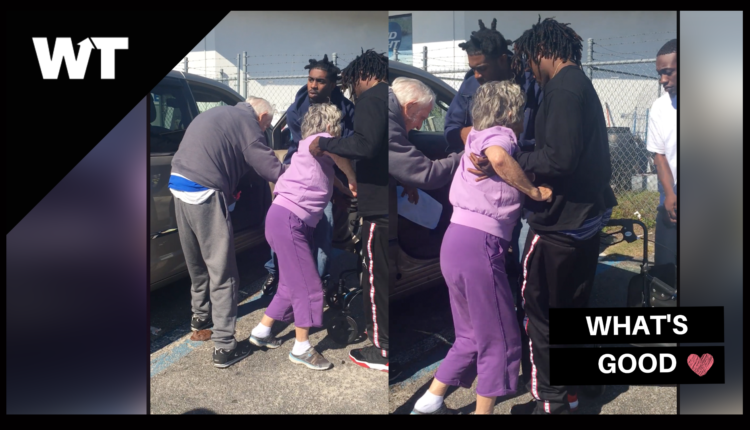 A heartwarming video is going viral of three young men helping an 89 year old woman into her car and it’s reminding people that good samaritans still exist. A video is going viral of three young men helping an 89 year old woman into her car and it’s reminding people that good samaritans still exist. 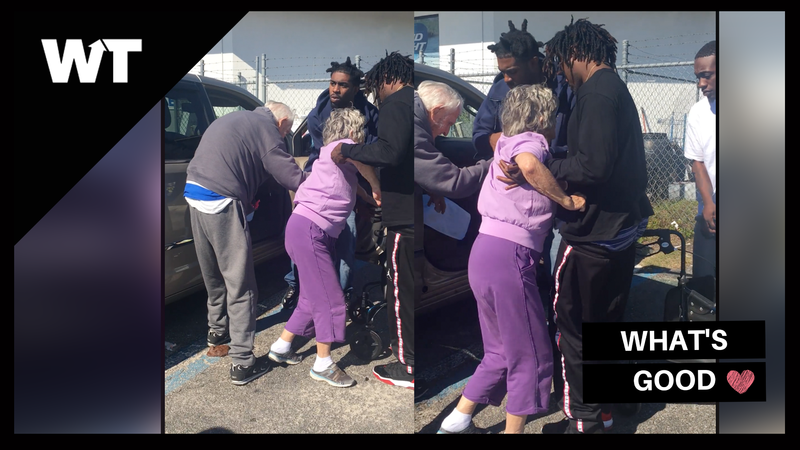 Officer Kanesha Carnegie of the Levy County Sheriff’s Office in Bronson, Florida captured this video showing young men coming to the aid of Rose Griest and her 100 year old husband David struggling to get her back into her car. The officer was parked at a gas station nearby when she witnessed three young men known as Joc Koe Stoe, Marty, and Freddy G approach the couple to offer assistance. The elderly couple had reportedly stopped at the gas station to use the bathroom on their way to a medical appointment, but Rose was so exhausted from the trip she could barely stand. David, Rose’s husband was particularly grateful. But since Rose and Dave aren’t on social media, they don’t even know how what a viral sensation they are. What do you think about this random act of kindness? Let us know in the comments or on Twitter at @WhatsTrending.